The Annapolis Valley Speed Skating Club (VSSC) was incorporated in June 2012. The aim of the AVSSC is to support and promote speed skating in the Annapolis Valley region of Nova Scotia, for all ages and abilities. 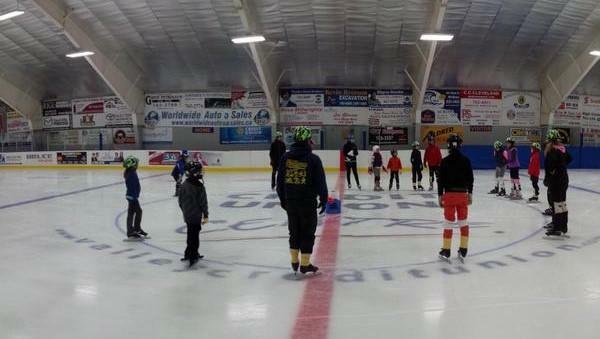 The Annapolis Valley Speed Skating Club is in its 7th season, based out of the Credit Union Centre (CUC), Kingston. Practices are on Monday evenings. The Learn to Skate class is at 6:15 pm; the recreational/competitive class at 7:10 pm. AVSSC has speed skates to rent; the skate rental is free for a skater’s first season. Volunteers - we have lots of opportunities for volunteering! Let us know if you are interested and we can discuss things that need to be done and find something for you! For more information on scheduling, costs and registration forms please email us at valleyspeedskating@gmal.com. FAST IS FUN! !